Shrink Wrap Liftoffs separate shrink wrap from the product it is covering. Liftoffs are made from a black plastic and have white rubber feet to promote air circulation and protection on painted sailboat hulls, machinery, RVs and more. 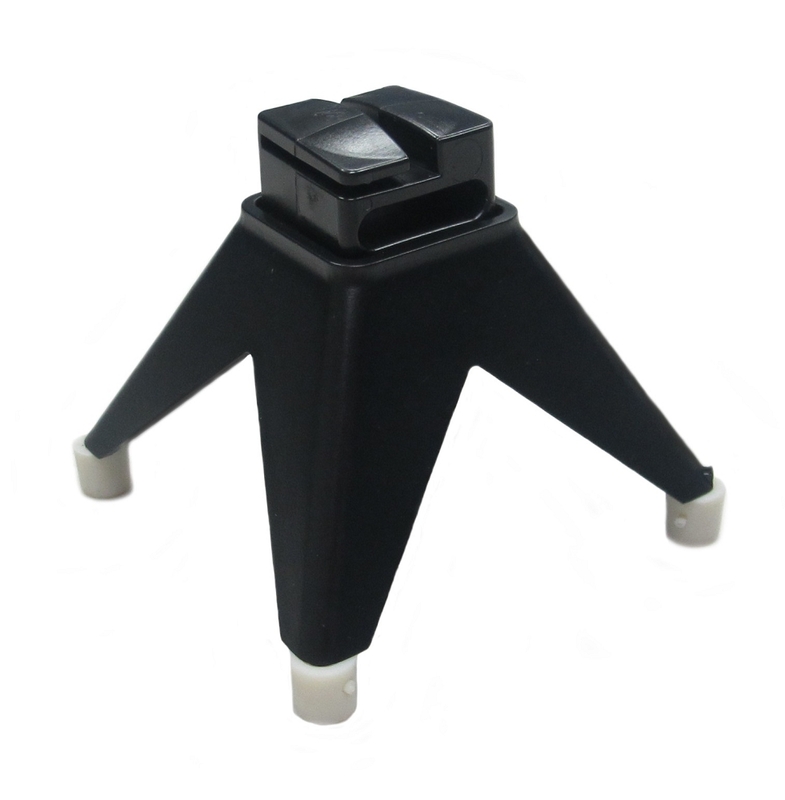 The Liftoff is a black plastic shrink wrap lifting unit with four rubber-tipped legs. The Liftoff installs simply and works effectively. 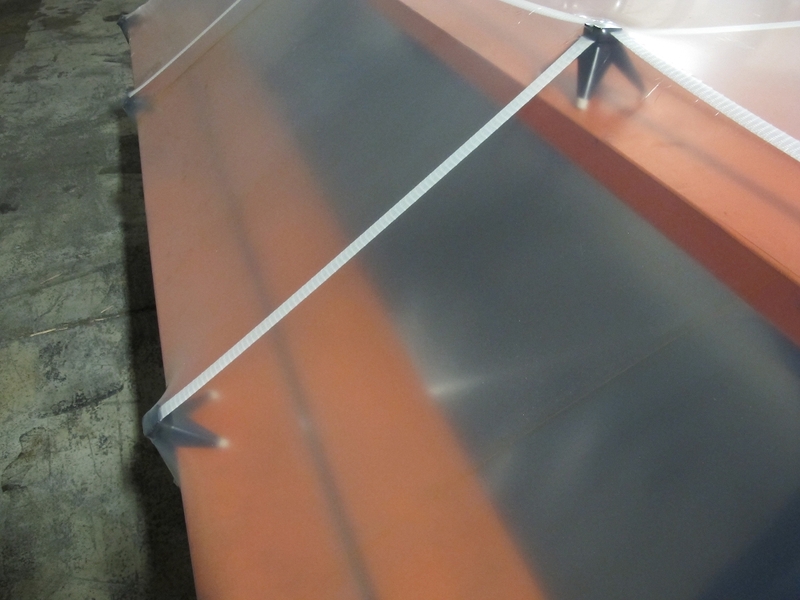 Strapping runs over top of the Liftoff to provide a secure buffer for air circulation between the shrink wrap and boat, machinery, RV, building, etc. where paint or sensitive finish could bubble and warp. Liftoffs are reusable, inexpensive and durable so you can keep lifting year after year. All you need is strapping, buckles and a tensioning tool to utilize the Liftoff. These are very nice and easy to use. Rubber feet secure them in place pretty well but, you must pad their tops or risk having corners cut through heated shrink wrap while shrinking.